Supreme Court on Monday ruled that the High Courts cannot interdict the criminal proceedings against public servants merely on the ground that there was no sanction for the prosecution from the competent authority. A two Judge Bench of Supreme Court comprising of Chief Justice P. Sathasivam and Justice Ranjan Gogoi on Monday has cautioned the High Courts holding that Criminal Proceedings shall not be forbade on the ground of legitimacy of Sanction. Bench was dealing with two appeals by the State of Bihar against separate orders of the High Court of Patna which quashed the criminal proceedings instituted against the respondents under different provisions of the Indian Penal Code as well as the Prevention of Corruption Act, 1988. High Court interdicted the proceedings on the ground that sanction for prosecution of the respondents in both the cases has been granted by the Law Department of the State and not by the parent department to which the respondents belong. The Bench was called upon to discuss the circumference of the High Court’s power to interdict a criminal proceeding midcourse on the basis of the legitimacy or otherwise of the order of sanction to prosecute. Bench considered the question whether a criminal prosecution ought to be interfered with by the High Courts at the instance of an accused who seeks mid-course relief from the criminal charges leveled against him on grounds of defects/omissions or errors in the order granting sanction to prosecute including errors of jurisdiction to grant such sanction? Referring to the object behind the requirement of grant of sanction to prosecute a public servant Court observed that the provision in this regard either under the Code of Criminal Procedure or the Prevention of Corruption Act, 1988 are designed as a check on frivolous, mischievous and unscrupulous attempts to prosecute a honest public servant for acts arising out of due discharge of duty and also to enable him to efficiently perform the wide range of duties cast on him by virtue of his office. Bench has said that the test regarding this is whether the act alleged has a reasonable connection with the discharge of official duties by the government or the public servant. If such connection exists and the discharge or exercise of the governmental function is, prima facie, founded on the bonafide judgment of the public servant, the requirement of sanction will be insisted upon so as to act as a filter to hold off any motivated, ill-founded and frivolous prosecution against the public servant. Court has examined Section 19(3) of the Prevention of Corruption Act as well as in Section 465 of the Code of Criminal Procedure in which it made clear that any error, omission or irregularity in the grant of sanction will not affect any finding, sentence or order passed by a competent court unless in the opinion of the court a failure of justice has been occasioned. 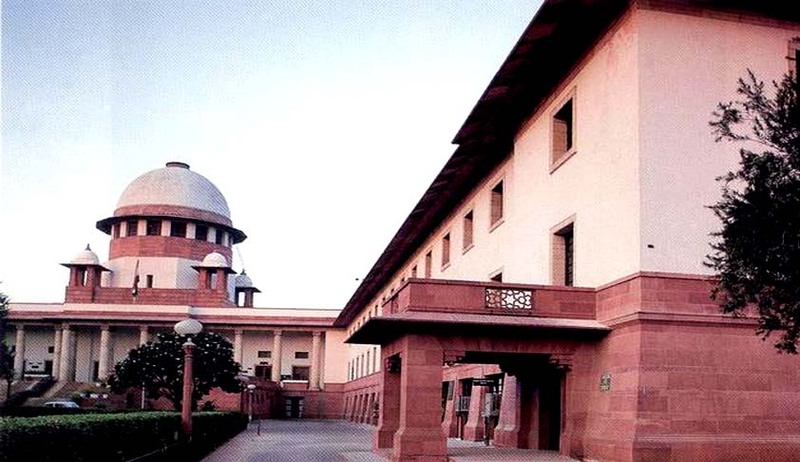 Court also referred to its own judgments in State by Police Inspector vs. T. Venkatesh Murthy and Prakash Singh Badal and Another vs. State of Punjab to reach at a conclusion that in a situation where under both the Prevention of Corruption Act and the Code of Criminal Procedure any error, omission or irregularity in the sanction, which would also include the competence of the authority to grant sanction, does not vitiate the eventual conclusion in the trial including the conviction and sentence, unless of course a failure of justice has occurred. Bench has said that it was necessary for the High Court to reach the conclusion that a failure of justice rendering it difficult to sustain the impugned orders of the High Court. “In the instant cases the High Court had interdicted the criminal proceedings on the ground that the Law Department was not the competent authority to accord sanction for the prosecution of the respondents. Even assuming that the Law Department was not competent, it was still necessary for the High Court to reach the conclusion that a failure of justice has been occasioned. Such a finding is conspicuously absent rendering it difficult to sustain the impugned orders of the High Court”. “The High Court in both the cases had also come to the conclusion that the sanction orders in question were passed mechanically and without consideration of the relevant facts and records. This was treated as an additional ground for interference with the criminal proceedings registered against the respondents. Having perused the relevant part of the orders under challenge we do not think that the High Court was justified in coming to the said findings at the stage when the same were recorded. A more appropriate stage for reaching the said conclusion would have been only after evidence in the cases had been led on the issue in question”. “We, therefore, hold that the orders dated 23.03.2012 and 03.03.2011 passed by the High Court cannot be sustained in law. We, therefore, allow both the appeals; set aside the said orders and direct that the criminal proceeding against each of the respondents in the appeals under consideration shall now commence and shall be concluded as expeditiously as possible”.